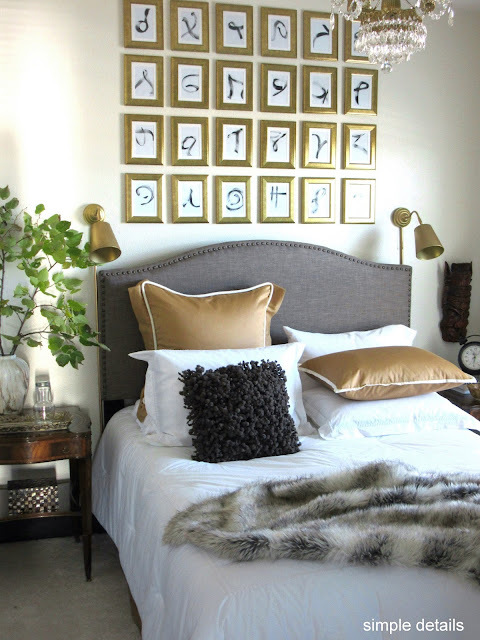 One day in the distant future, updating our master bedroom is on "my list." In my head I've been imagining a few different looks already. I really like our bedroom furniture. I bought it on my teeny-tiny teacher's salary when I was a single mom, and like most things from that era of my life, I'm attached to it. Like I've mentioned to you before, much of our furniture is dark. I've thought about chalk painting our bed a lighter color, I mean I've painted this table and this table, so that makes me a chalk paint expert. Right? :-) Just not sure about tackling something so substantial. 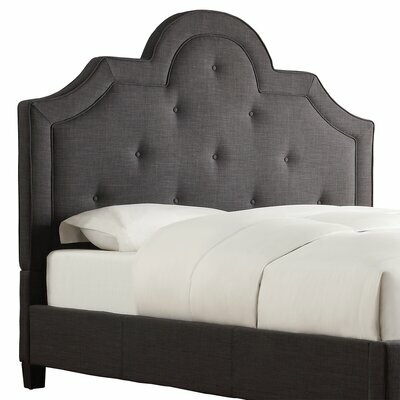 Another plan I'm riding around is using only a decorative head board, maybe ditching the foot board and adding seating, like a bench or two small chairs at the end of the bed. 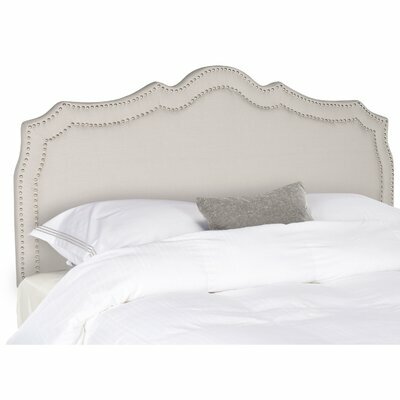 This may shock you, but Walmart has some surprisingly pretty head boards. I particularly like these two nail-head choices. 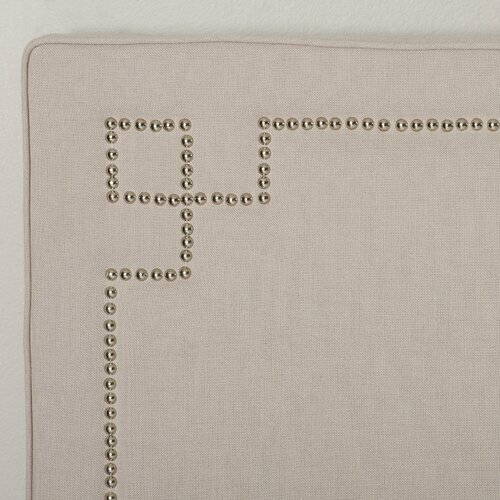 Pam's house at Simple Details is one of my favorite places to fish for inspiration, and that's where I first saw the headboards. I love her style . 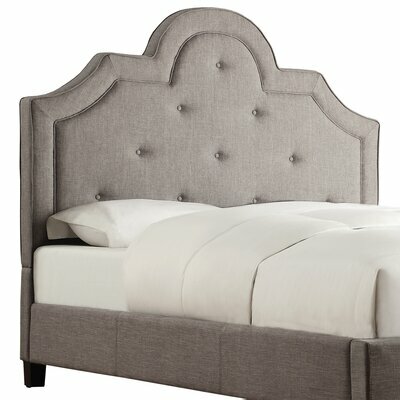 . .
Another place I stopped by to check out head boards was Wayfair. I've never ordered from them, but their commercials and other bloggers make me want to, and they have free shipping. I also like the look of this taller, more ornate option that comes in two colors: dark gray and light gray.